TECHRIGHTS, with the exception of the daily links, does not cover GNU/Linux matters all that often. Not anymore. There’s a reason for this and it’s not just the growing role of software patents in the destruction/elimination of software freedom. I wouldn’t be the first person to state that the GNU/Linux world can be harsh and brutal. People have free speech, which is absolutely fine (I’m a big opposer of censorship and self-censorship). But what happens when people cross the line of common sense and begin to personally attack writers and pundits? What happens when they do this on behalf of big and wealthy corporations? A lot of the abuse I received from the Mono crowd over the years (unimaginable abuse, comparing me even to a criminal) is ever more fascinating now that those very same people are Microsoft employees. “A lot of the abuse I received from the Mono crowd over the years (unimaginable abuse, comparing me even to a criminal) is ever more fascinating now that those very same people are Microsoft employees.”I recently encountered or was the eyewitness of truly shameful attacks on Phoronix, both from developers and from sites like Reddit, which effectively blacklisted Phoronix, calling it “blogspam”. Reddit is full of censorship for those who don’t know it yet (our daily links have many articles about its political censorship too), but it’s rather unbelievable if not cynical when they block the whole of Phoronix (recently the subject of renewed debate over there and maybe a reversal/overturning of the ban, for the first time in a very long time). The point I am trying to get across here is that it’s not easy to cover GNU/Linux news because there’s always someone, somewhere who isn’t happy. Thick skin is required. I hardly cover GNU/Linux matters (compared to past years), though it’s not because I’m offended or put off by personal attacks; it’s because I don’t always feel appreciated for the investigative work which I do. I generally snub any PR person or company spokesperson. I don’t trust them. I try to come up with an independent point of view; so do some journalists like Sam Varghese, who have earned nothing for that other than scorn and abuse. I am not alone in this. Not many people are willing to speak out about it, perhaps fearing backlash. Consider Canonical with their disgusting blacklists of journalists who are not sucking up to Canonical and swallowing every ounce of Kool-Aid from Canonical, as pointed out not just by yours truly but also other bloggers/journalists (both privately and publicly, with those who do so privately fearing that these blacklists would treat them even more maliciously if they dared to rant). “I try to come up with an independent point of view; so do some journalists like Sam Varghese, who have earned nothing for that other than scorn and abuse.”Red Hat is not much better by the way. The giant Linux firm is alienating people who often/always write out of passion, not for profit (financial gain) or for glory. Red Hat has a massive PR operation now (publicly and behind the scenes) and it’s not something which is pleasant to see because it reminds me of how Microsoft games the media, often bordering the unethical. When companies hire patent lawyers they tend to bring a lot of their (the latter’s) self-serving anti-etiquette and the same thing happens when companies hire PR people. Mass-mailing people is just one of their professional ‘skills’ and — at risk of saying something politically-incorrect — these tend to be women, preferably attractive women (this gives more impact to their work, along various different aspects beyond the scope of this post). The other day I noticed a certain flamewar brewing between Red Hat and Canonical. They try to keep it on ‘low fire’, but it’s impossible to ignore the bigger picture. “I soon learned of Fedora employees bashing the media wherever they could because some sites wrote about Canonical’s Snap initiative being an actual competitor to their Flatpak universal binary package.”OpenSUSE is trying not to take sides. They first retweeted Swapnil’s tweet saying “Kudos to Canonical for working with other distributions.” And then they say “Also kudos to http://flatpak.org” (as if someone from Fedora got in touch). 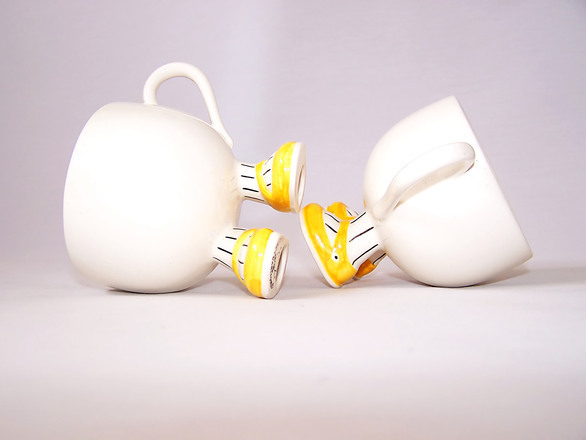 In another tweet or a bunch of them we see what indicates that there is strong rivalry between Canonical and Red Hat. It makes us bloggers/journalists feel like collateral damage (or ‘tools’), and unlike these people who push us around, we don’t receive huge salaries for our work. For me, reporting is a purely voluntary activity with no financial gain. I decided to ask around and find out what the heck was going on, having seen how Red Hat strong-armed some distributions into embracing the “Red Hat way” — to the point where Canonical had to abandon some of their own projects. I soon learned of Fedora employees bashing the media wherever they could because some sites wrote about Canonical’s Snap initiative being an actual competitor to their Flatpak universal binary package. As a reminder for those who are not paying close enough attention, Flatpak is loosely connected to Systemd, probably Red Hat’s most controversial ‘lock-in’ at the moment. On the other hand, Canonical is trying to push its own ‘standards’, which it can probably do given its dominant position on the desktop (and almost on the server as well). Just for the record… the Softpedia article doesn’t actually say “Canonical state that they have been working with Fedora developers to make this the universal packaging format.” It does say they’ve been “working for some time with developers from various major GNU/Linux distributions” and that “the Snap package format is working natively on popular GNU/Linux operating systems like [...] Fedora [...],” so it’s clear why there was confusion, but it doesn’t say that they’ve been working with Fedora specifically. “But either way, accusing publications of saying something they did not say is unfair, and it reflects badly on the community as a whole.”Michael Hall from Canonical said on Reddit that they talked with some Fedora people at some point (Michael Hall’s statement here is equally informative). But either way, accusing publications of saying something they did not say is unfair, and it reflects badly on the community as a whole. I have a personal grudge with Canonical over how they treat media, having witnessed online friends becoming victims of theirs, but I didn’t think Red Hat would stoop down to this level as well. What we are basically witnessing here is a bunch of Red Hat (‘Fedora’) employees attacking the media over Snap/Flatpak war. They want the media to take sides and get upset that the media isn’t telling the story the way they want it to. This isn’t some kind of epic rant from me, just an observation of something that I noticed in the past. If Softpedia folks and Phoronix (Michael Larabel) can be treated like enemies because they attempt to amicably — without controversy — cover GNU/Linux news, then what hope is there for more outspoken bloggers like myself? It’s sad as it’s not just one case; the above is symptomatic of something that has been going on for years and that’s why I don’t cover Linux issues such as Systemd. It’s almost suicidal. It’s nothing but trouble. Self-censorship ensues. “They’ll need to learn to respect the media or earn no respect in return.”Why do journalists need to be abused for attempting to cover the news, even when they cover it correctly? There’s also this on LWN (Jimbob0i0 is James Hogarth) where, again, it’s said that Softpedia claimed something it didn’t. Red Hat needs to respect people’s views, even when these views are not correct (in this particular case these views are correct). They’ll need to learn to respect the media or earn no respect in return. They need to work better with the media or have no media at all, except that which they pay for, e.g. their opensource.com propaganda rag (it spends much of its time just peddling a book that helps pretend Red Hat is “open”, based on the CEO’s words). HAVING studied Microsoft and its extensive network of external PR agencies for well over a decade, and having studied the latest PR charm offensive for a whole week (while patiently taking notes along the way), I now feel prepared (on a Sunday when it’s all said and done) to provide my explanation of what happened. In short, it’s a PR campaign. It’s not a new PR campaign; it’s continuation of an existing PR campaign, whose banner is typically “Microsoft loves Linux” (that’s the misleading motto). 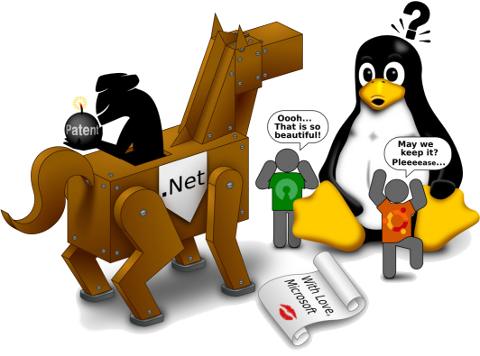 Those who have followed non-disclosure agreements probably know that Microsoft is still attacking Linux. It’s a demonstration of hatred, not love. The genius of this PR campaign is that it logically reverses what’s true. It’s like BP stating that it loves wind power, the Koch Brothers stating that they love Senator Sanders, and Clinton stating that she loves self-determination. “The genius of this PR campaign is that it logically reverses what’s true.”At the moment, judging by the reaction of people to this PR campaign, I can see roughly three groups. There are those who are still distrusting Microsoft. There are those who are increasingly confused by what Microsoft is doing, not sure what they’re really up to. The third group is either people who are in the Microsoft camp (profiting from it) or those gullible enough to believe what Microsoft is saying, sometimes even repeating the “Microsoft loves Linux” lie. In this article we shall break down last week’s ‘news’ into roughly three categories or strands. We are going to show the reality behind all this PR, which was emitted in big quantities (with help from lousy media) and in quick succession. Little time and space were left to respond to the PR. “We are going to show the reality behind all this PR, which was emitted in big quantities (with help from lousy media) and in quick succession.”Microsoft hates Linux. It just needs people to believe otherwise whilst attacks go on. Microsoft tries to conceal its real intentions (in the minds of top management, not low-level developers). Last week we explained how the "Tay" story (or non-story) got used as Microsoft opportunism, PR, a distraction, and propaganda. It was the Donald Trump kind of PR strategy. Just mention “Hitler” or something like that and the press will be all over you; and if there’s no such thing as “bad publicity” (as all such publicity can be spun positively given the skilled personnel), then you inevitably win hearts and minds. “Tay” was not news at all… it was more of a PR stunt. Like the “Microsoft loves Linux” stunt, among other things, as we shall show in a moment. The more shocking the statement, the more press you are guaranteed to receive. Provocation or “rhetoric” is what some call this strategy (in relation to Trump in politics). “It was the Donald Trump kind of PR strategy.”In a nutshell, all that happened last week was, the media got invited to play a role in a provocative media strategy that baits the reader (including misleading images with hearts in them), someone called Wim ended up being hired by Microsoft because he got offered a higher salary (so he moved from one evil proprietary software giant to another), and finally, as expected, Miguel de Icaza and his colleagues at Microsoft once again openwash .NET. That’s pretty much all that it boils down to. Not much to see here, so why not just move along? There’s no news here ((2-19] below are headlines we didn’t include in our daily links because they added nothing new), except maybe Vista 10 promotion. It now rides the wave or enjoys the positive publicity of the Linux brand. Some people ‘reviewed’ this supposedly ‘new’ thing [20-24] and some rightly criticised it [25-26]. I personally used Cygwin when I started university more than 15 years ago (one partition of mine ran Windows 98, the last version I ever had). At work and at university I was using GNU/Linux exclusively, so sometimes I needed somewhat of a ‘bridge’. “The more shocking the statement, the more press you are guaranteed to receive.”Microsoft now claims credit for Cygwin, or sort of claims to have innovated/invented it. What a shame. Did the media not research this properly? Early coverage regarding this came from 3 Microsoft boosters (the night before the actual announcement) and it was highly misleading, probably by design. As we wrote at the time, they’re probably being gamed or fed by Microsoft’s PR agents (if not directly). They published highly misleading ‘teasers’ that set the tone to many misleading articles the following day. Microsoft is not really offering anything new, just putting Microsoft’s name on old stuff. This quickly raised questions about GPL compatibility. Many journalists ended up mischaracterising it as “Ubuntu on Windows 10″ (that’s from today!). It’s not Ubuntu on Windows 10. That’s just a gross oversimplification. “Mister Linux” is Mr. Torvalds. Everyone knows Torvalds, more so than people know or recognise Mr. Stallman. How many people even heard the name Wim Coekaerts? Surely not many. Yet Microsoft propaganda sites now make Wim sound like some kind of a huge celebrity; “Mister Linux” is what some of them dub/call him. Yes, someone who worked for a proprietary software firm that attacks Linux/Android using patents is apparently “Mister Linux”. Poppycock! Judge the total of 7 articles about it [1, 2, 3, 4, 5, 6, 7] and notice how many of them came from Microsoft boosters and/or apologists. Why is it “news” when a company the size of Microsoft hires someone? He’s not even that famous. They make it seem like he is. How convenient. They try to bolster that “Microsoft loves Linux” narrative rather desperately now. They give feet to a myth. What really happened here? Most likely Microsoft offered this man a lot of money. As we noted here over the years, Microsoft offered huge lumps of money to FOSS luminaries, in order for them to join Microsoft. Simon Phipps openly complained about it. Jono Bacon, who managed the Ubuntu community, was among those whom Microsoft offered a lot of money in an effort to poach him. He declined. Shame on Canonical? No, on Greed and Self Interest. Canonical is now doing Microsoft’s E.E.E. 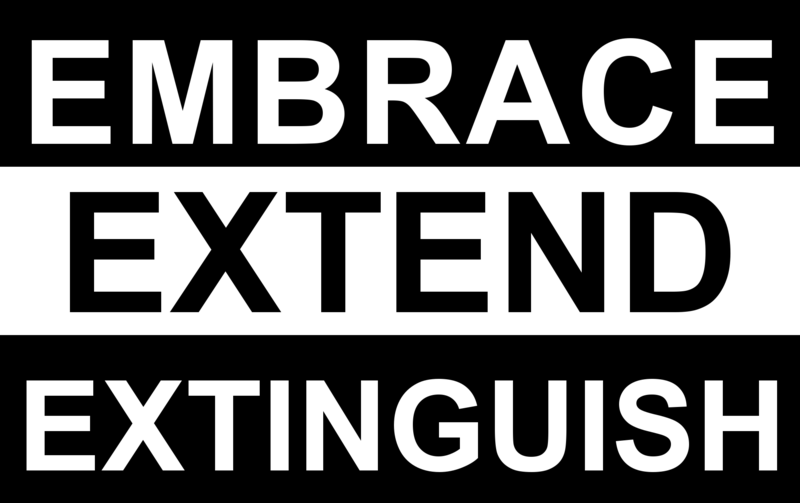 (embrace, extend, extinguish) for Microsoft. It actively helped the E.E.E. The Canonical employee who did this said in his blog that Microsoft had even sponsored him. What does that tell us in light of the situation Bacon was in? OMG Ubuntu was dumb enough to call E.E.E. (not FOSS) “lovefest” (this reminds us of its Mono enthusiasm). A loaded headline, “Nothing To Worry About Microsoft Newly Found Love For Linux”, misleads the reader by reinforcing Microsoft lies amid E.E.E. There’s no love there. Microsoft has accelerated not only E.E.E. tactics. It also accelerated patent strikes against Linux and Android, but one (the former charm offensive) helps distract from the latter. “Speed and competition mean that a lot of so-called ‘journalists’ rush to write things based on hearsay and press releases, which typically means Microsoft and its confidants inside the media.”Mary Branscombe, whom we mentioned here recently , has spent many years acting like a Microsoft PR agent in ‘reporter’ clothing, habitually attacking FOSS and openwashing Microsoft. “New Microsoft, new attitude” says her latest puff piece and she is not alone. Well, it’s clear what the strategy (as in media strategy) is because we quickly saw several of Microsoft’s other anti-Linux actors coming out from the shadow, along with Mary. They’re really attacking by pressing on with E.E.E. agenda. Suddenly, for the first time in months if not years, Rob Enderle rears his head regarding FOSS (he is also femmewashing Microsoft, not just openwashing it this/last week) and so does Al Hilwa. For those who don’t know who he is, it’s a Microsoft mouthpiece, previously salaried by Microsoft [1, 2, 3]. Adrian Bridgwater cites and extensively quotes Hilwa without noting that he’s a person from Microsoft pretending to be an “analyst” now (Linux-hostile). Very disappointing level of journalism, that’s for sure. There’s even worse journalism out there, for example this article which is openwashing proprietary software from Microsoft. There’s no new FOSS, just E.E.E. of other people’s work. Some people may occasionally say, give Microsoft the benefit of the doubt. How can one do this while Microsoft is attacking (covertly) Linux behind the scenes every week? Selective vision works only because of media omission (e.g. of patent deals). Microsoft has managed to blur the gap between journalism and PR by paying large network to have writers who are de facto Microsoft PR people (we named some of them before) and they game the media by quoting people who are close to Microsoft, shifting the focus of news before it’s even announced, and so on and so forth. This post/article about Microsoft E.E.E. thus focuses not on technical issues but on how Microsoft manipulated the media. Speed and competition mean that a lot of so-called ‘journalists’ rush to write things based on hearsay and press releases, which typically means Microsoft and its confidants inside the media. Those who don’t research are bound to repeat their propaganda. We see a lot of the same stuff as it involves EPO PR people, who bombard journalists with their spin (or ‘prepared’ statements). Developers, Developers, Developers, Use Our Proprietary Software! Microsoft wants C++ developers (even those developing for GNU/Linux) to use proprietary software that does not run on GNU/Linux (Microsoft Visual Studio). Here is what Microsoft Gavin wrote about Microsoft’s latest proprietary software ‘gift’ (lock-in, E.E.E., and media manipulation). Watch this article and responses to it, e.g. in Reddit. Watch how Microsoft-friendly sites repeated Microsoft’s own words. It’s all proprietary as pointed out here, but now comes Miguel de Icaza with his misleading/distracting blog post. “Microsoft Mono seems to have chosen a license that allows the ongoing threat of software patents,” iophk told us, linking to this older page about licence choices. “Going back to Xamarin, it’s mostly openwashing (that’s what Mono did) because Visual Studio remains proprietary and .NET is all promises but still no complete code one can compile from the ground up.”XFaCE, linking to an article about this topic from Wired mocks the use of words like “Delights” and “Freeing” (right there in the headline). “WIRED removed comments I’ve seen,” says XFaCE, so we know that comments that are hostile towards this spin got censored out of existence (standard routine at Condé Nast, which now owns Wired). MinceR was “guessing the koolaid must flow uninhibited,” based on what he wrote in IRC. Condé Nast already has an epidemic of comment censorship in Reddit, Ars Technica and apparently that extends to Wired. What you see there is thus HEAVILY sanitised. And in whose favour? So now we know that Condé Nast not only spreads Microsoft propaganda to aid E.E.E. against Linux but also deletes messages of resistors. Back in the days, before Condé Nast bought Wired magazine, this magazine had actually stood up to Microsoft. Now it has a DEDICATED Microsoft section (PR) and it helps Microsoft silence voices of opposition. Now, that is a media strategy, is it not? Some of Condé Nast’s Web sites, based on what we got told by their managers, were actually launched with Microsoft’s funding (Ars Technica UK for sure). To give another example of poor reporting/journalism, AOL chose the headline “Xamarin CEO Nat Friedman on getting acquired by Microsoft” (don’t laugh, see our page about Xamarin). Well, now we know why Microsoft’s Windows Phone didn’t appear at Microsoft’s Build keynote on Wednesday: it simply isn’t on Microsoft’s radar screen at the moment. The question, of course, is whether it will ever be again. “We’re going to do some cool things with phones, but this year phones are an important part of our family but not the tip of the spear,” Windows chief Terry Myerson told The Verge on Wednesday. Going back to Xamarin, it’s mostly openwashing (that’s what Mono did) because Visual Studio remains proprietary and .NET is all promises but still no complete code one can compile from the ground up. Microsoft loves proprietary SQL Server, proprietary Windows, proprietary Visual Studio etc. It wants GNU/Linux users to buy those. That’s how far the “love” goes. For its next act, Microsoft shall probably do something to paint Microsoft Office “open” even when it’s proprietary. Like bribing people in order for ISO to ‘bless’ OOXML. “The reason “Linux” news get flooded/dominated by Microsoft (again) isn’t that Microsoft is loved or hip. It is just a lot more greased up on the marketing side.”Looking at the media for coverage about this ‘news’, we see that a lot of Microsoft’s boosters wrote about it, with some (few) exceptions [1, 2, 3, 4, 5, 6, 7, 8, 9, 10]. It’s Microsoft news, it’s not FOSS news. What’s even more laughable is that when a longtime Mono booster and inadvertent GNU/Linux basher (see the latest in [1, 2]) “joined” the latest .NET (i.e. Microsoft lock-in) advocacy the media made it sound like .NET was widely loved. Microsoft-dominated ‘media’, 1105 Media [1, 2], went even further and labelled the whole event “Spotlight on Open Source” (as if something actually got liberated rather than “embraced”, as in E.E.E.). The same media company (highly and tightly connected to Microsoft) said that “Microsoft Adds Support for Linux Bash Shell on Windows” (nothing to do with Ubuntu or Linux and not even news, as we noted above). It’s also worth noting that WSL doesn’t really let you do very much that you couldn’t already do for many years via Cygwin, which allows a lot of GNU/Linux apps to run on Windows. Cygwin is not as seamless a solution as WSL, but the end result it provides is basically the same. For that reason, some GNU/Linux fans will probably be left wondering what WSL really changes. Will Windows eventually work its way into computer science courses anytime soon? Probably not, considering a copy of Ubuntu is free. I just heard from several sources that Canonical and Microsoft are forming a partnership a marriage if you will between themselves. This unholy matrimony, this putrid partnership is not to bring windows to the Linux operating system, it is to bring ubuntu to the windows operating system. How bad is the Windows command line really? Kevin Gallo just announced Bash support on Windows. If you have never had to interact with the Windows Batch language, this might not seem like such a big deal. Surely Batch could not be substantially worse than Bash, right? Bash: a language that was neither designed, nor evolved. An adequate solution to a problem that has since become orders of magnitude harder. As arcane as it is useful, as dangerous as it is ubiquitous, Bash: the language that asks how much we are willing to give up for convenience’s sake? Sure, Bash could be worse. But substantially worse? Bash had one value proposition: it was just good enough. It is difficult to imagine that it would have flourished as it has, if that had that not been true. But the truth is what it is. Batch is substantially worse. And how much worse sort of beggars belief. Con ‘Amor’ Como el de Microsoft ¿Quién Puede Definir Odio de ahora en Adelante? O como ´amigos´ como estos, ¿Quién necesita enemigos? Esta mañana hubieron muchas diátribas online acerca de lo que Canonical ha hecho con Microsfot para ayudarle a vender Vista 10 y poner Ubunto dentro de un hypervisor proprietario, completo con keyloger, puertas traseras, y lo deás. No deseamos pasar más tiempo hablando de las ramificaciones (hay algo de ellon en nuestras links diarias), pero mucha gente lo ha etiquetado/llamado E.E.E (y muy corréctamente). Escribimos acerca de ello anoche, también notando lo que Microsoft ha estado haciéndo en China y Romania (esto esta siendo discutido en Soylent News profundamente hoy). “Una estrategia que Microsoft ha empleado en el pasado es pagar por el silencio de personas y compañías. Charles Pancerzewski, antiguo jefe auditor de Microsoft, se enteró de esta práctica de Microsoft de pasar ganancias de un periódo contable al siguiente, conocida como ¨manejo de ganancias¨. Esta práctica alisa reportados fuentes de ingresos, aumenta el valor compartido y engaña a los empleados y accionistas. Además de ser no ético, es también ilegal bajo la Ley de Seguridades de los US y viola Prácticas Contables Aceptadas Generalmente (Fink). With ‘Love’ Like Microsoft’s, Who Can Even Define Hate Anymore? Or with ‘friends’ like these, who needs enemies? “One strategy that Microsoft has employed in the past is paying for the silence of people and companies. Charles Pancerzewski, formerly Microsoft’s chief auditor, became aware of Microsoft’s practice of carrying earnings from one accounting period into another, known as “managing earnings”. This practice smoothes reported revenue streams, increases share value, and misleads employees and shareholders. In addition to being unethical, it’s also illegal under U.S. Securities Law and violates Generally Accepted Accounting Practices (Fink). What is this app though? Microsoft either releases software that promotes its proprietary stack of its surveillance network (‘cloud’). Remember when Novell stood side by side with Microsoft while helping it infiltrate and divide Free/Open Source software with patents? This is what Canonical should keep in mind now that it’s jumping into Microsoft's 'cloud'. Remember a couple years back when Canonical was showing us how you could transform your phone into a full-fledged Ubuntu PC? That was a more of a concept, but it’s 2015 and that hasn’t been made possible yet, at least not by Canonical. Microsoft just demoed the same thing with its Windows phone. Microsoft’s ploy to transform Windows Phones into full-blown Windows PCs when connected to an external monitor may seem revolutionary, but it’s nothing new. At least not in theory. Nearly 12 years after it was filed, a lawsuit against IBM Corp. that riled the open-source computer code community is back on the federal court docket in Utah. The nearly defunct Utah company SCO Group Inc. and IBM filed a joint report to the U.S. District Court in Salt Lake City saying that legal issues remain in the case, which was initiated in 2003 with SCO claiming damages of $5 billion against the technology giant, based in Armonk, N.Y. This received more attention than it deserved because of the headline, which reads: “It’s alive! Utah software company’s decade-old suit against IBM revived” (drama over substance). Microsoft is now swapping money for power (which begets money) in its patent extortion strategy. Samsung has been a top “asset” (like a “high value target”) and Kyocera may be next. It’s all about control. Microsoft now has greater control over Samsung (and by extension over Android), owing to blackmail followed by settlement. Here is Canonical’s original statement, some press coverage, and a blog post stating that “Canonical Deepens Partnership with Microsoft”. Microsoft had used Novell not just for patent extortion. It later used it for Linux Foundation and events intrusion (like a free press or ticket), HyperV promotion, OOXML promotion, .NET promotion (through Mono), and Silverlight promotion (through Moonlight).